Antenna VHF FA-SC58V Standard for Icom Marine Portable Radios IC-M24, M24, IC-M34, M34, IC-M36, M36. VHF Hand Held Radios. VHF Base Antennas. TheAntennaFarm is an Authorized ICOM Dealer. Coaxial Cables. Radio Accessories. CB & Scanner Antennas. Dual Band Base Antennas. UHF Base Antennas. ICOM IC-F4011. Indiana 's #1 Sales and Service 2 Way Radio facility. IC-F4011 with knobs, antenna, hand mic. 450-512 MHz. Wide frequency coverage (136-174, 400-470 and 450-512MHz). The IC-F3011 series is built to take harsh use and keep working. UHF Hand Held Radios. UHF Base Antennas. TheAntennaFarm is an Authorized ICOM Dealer. Coaxial Cables. Radio Accessories. CB & Scanner Antennas. Dual Band Base Antennas. VHF Base Antennas. Icom stubby 3" OEM VHF 150-162 MHz Antenna for F50, F51, F50V, F51V, F51ATEX, M88. Flexible Antenna VHF FAS64V for Icom Marine M71, M72, M73 radios. 115 mm long. VHF Hand Held Radios. VHF Base Antennas. TheAntennaFarm is an Authorized ICOM Dealer. A little boy get his team jersey. A mom put food on the table. Radio Accessories. CB & Scanner Antennas. Dual Band Base Antennas. Trending at $15.27eBay determines this price through a machine learned model of the product's sale prices within the last 90 days. 400-470 MHz (green tip). Part # FA-S27U FAS27U. 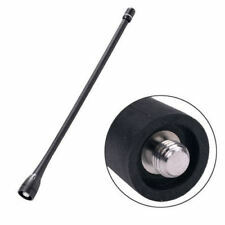 UHF 6" antenna for Icom F60, F60V radios. 470-520 MHz (red tip). Part # FA-S56U FAS56U and. ICOM (OEM). 440-490 MHz. Fleet pull. Radio with microphone & mounting bracket only. No other accessories included. 9 Programmable Buttons. 256 Channels. 4 Watt Audio Output. ICOM F11 F3001 F3011 F14 F30GS F30GT F33 F3021 F3031 F3061 F3161 F70 F70DS. 1 New oem Icom long VHF (146-174mhz) antenna. Icom iCF621 Tr UHF 450/470 Mhz Mobile 30 Watts. Condition is used and in working order NO accesories, just mic What you see is what you get Thank you!! VHF Hand Held Radios. VHF Base Antennas. TheAntennaFarm is an Authorized ICOM Dealer. A little boy get his team jersey. A mom put food on the table. Why buy from us. CB & Scanner Antennas. Dual Band Base Antennas. ICOM F11 F3001 F3011 F14 F30GS F30GT F33 F3021 F3031 F3061 F3161 F70 F70DS. New oem Icom long VHF (136-150mhz) antenna. F4001 F2000 F4011 F21 F24 F4021 F43 F80. New OEM Icom long range whip antenna 440-470MHz. 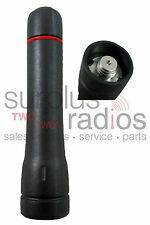 Standard Icom Antenna 8" for A6 A14 A24 Air Band Aviation Handheld Radios, p/n FAB02AR. Trending at $29.81eBay determines this price through a machine learned model of the product's sale prices within the last 90 days. MSA PTT ICOM 10053280 Sordin Thales MBITR PRC148 U-94A. This is a authentic MSA ICOM MBITR cable, these cables are rare and hard to find. NATO TP-120 female to ICOM 2 Pin Male connector. F60 AND F60V. 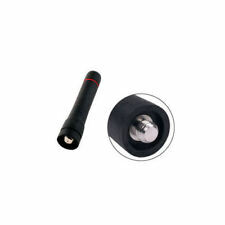 New OEM Icom long range whip antenna 450-520MHz. TheAntennaFarm is an Authorized ICOM Dealer. A little boy get his team jersey. A mom put food on the table. Why buy from us. Who we are. Coaxial Cables. Radio Accessories. CB & Scanner Antennas. For sale is a ICOM VHF TRANSCEIVER IC-V82 & IC-V82-T / UHF TRANSCEIVER IC-U82 USER MANUAL. Book was pre-owned. Purchasing User manual only ! Sale is final ! Icom BP196 Battery Belt Clip. Also fits EF Johnson 7500 series. old style clip, slide on, no springs. 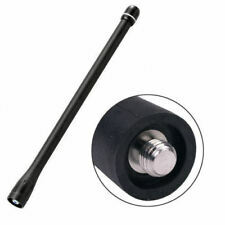 UHF 6" antenna for Icom F60, F60V, F80 F80S F80DS F80T F80DT radios. 450-512 MHz (blue tip). Part # FA-S74U. F4001 F4002 F4003 F4011 F4013 F4021S F4021T F4022S F4023 F4032S F4061S F4061T F4101D F4102D F4161 F4161D F4162DT F4162DS F4262DT F80 F43TR etc. F2000 F2000D. For F20 F21 F21BR F21GM F21S F24, F24S F25. 470-520 MHz (red tip). Part # FA-S56U FAS56U. 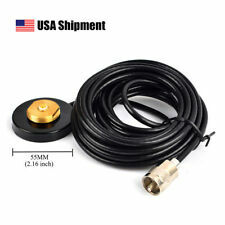 UHF 6" antenna for Icom F60, F60V, F80 F80S F80DS F80T F80DT radios. 400-470 MHz (green tip). Part # FA-S27U FAS27U. 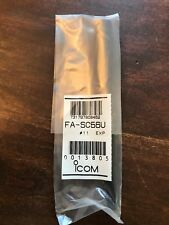 New Icom stubby 3" OEM VHF Antenna for F50, F51, F50V, F51V, F51ATEX. 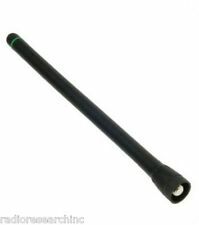 FASC25U (green tip) Icom Antenna UHF 400-430 MHz whip 6" for F20 F21 F21BR F21GM F21S F24, F24S F25 F4S F4GS F4GT F40GD F40GT F43GS F43GT F44GS F2000 F2000D F4001 F4002 F4003 F4011 F4021S F4021T F4022S F4023 F4032S F4061S F4061T F4101D F4102D F4161 F4161D F4162DT F4162DS F4262DT F80 F43TR etc. ICOM F11 F3001 F3011 F14 F30GS F30GT F33 F3021 F3031 F3061 F3161 F70 F70DS F1000 F3101D F3210D. 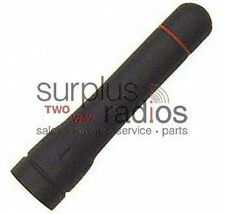 New original stubby VHF 150-160mhz (red) antenna for icom radios. New Icom 6" heliflex VHF Antenna for F50, F51, F50V, F51V, F51ATEX. Part #FA-S24V VHF 136-150 MHz (6" blue tip).